The Inogen One G3 concentrator affords you the freedom and independence to do as you please, when you please, without the heavy burden of an oxygen tank. The Inogen One G3 is Oxygen. Anytime. Anywhere. 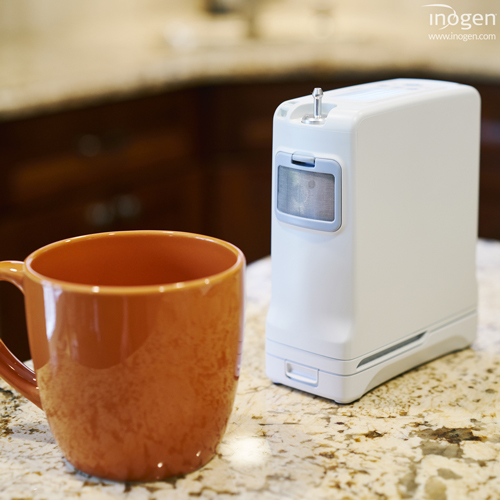 The Inogen One G4, capable of full 24/7 oxygen delivery in an unbelievably small package! Offering 1-3 flow settings, the Inogen One G4 is one of the smallest, lightest and quietest units available to the oxygen user today. SimplyGo offers continuous flow and pulse-dose delivery in a device weighing 10 pounds. Reliably manage your therapy and lifestyle needs with the SimplyGo. The SimplyGo Mini is the newest, smallest, and lightest member of the Right Fit portfolio of oxygen products from Philips Respironics. It is designed and rigorously tested to be reliable and durable in real-world environments, undergoing the same testing regimen as its counterpart, the proven SimplyGo.